New in 2013, for FADS dressage shows held during the spring and summer, three unique awards were offered in memory of three very special horses. Stephanie J. Corum, of SC Equine Enterprises (click here), sponsored the awards in memory of three horses she had the honor and privilege of knowing for many years. They were special creatures that represented themselves well and deserved to be remembered. Winners in each division were selected based on the highest average score in at least four classes judged by at least two judges. The Cowboy Charisma Award - Cowboy Charisma was an Appendix Quarter Horse mare owned by Corum. 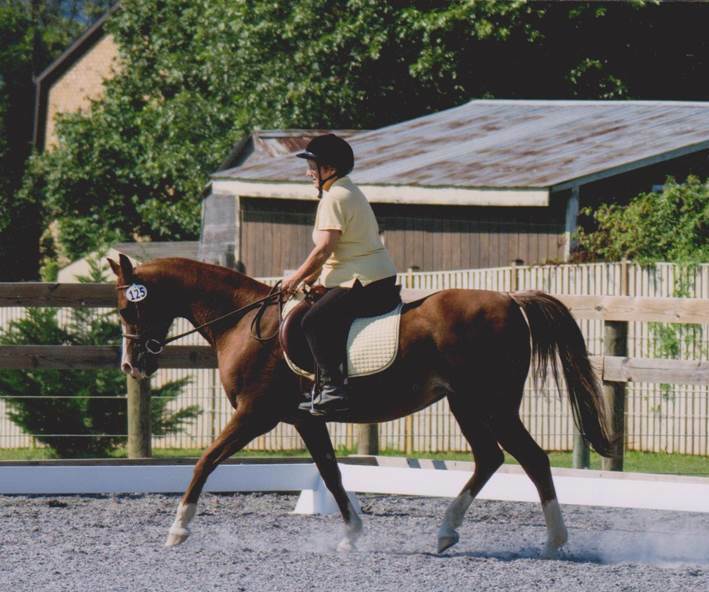 Charisma loved the spotlight of being the only one in the dressage ring and was very successful through first level before her untimely passing. However, as a mare, she did pose challenges for her rider. The purpose of this award is to acknowledge the partnership that must exist between mare and rider for the combination to be successful. The Mo Rafi Bey Award - Mo Rafi Bey was a Crabbet-bred Arabian last owned by Sue Hull. Sue purchased him as her first horse and he was very personable, charming and trustworthy. He epitomized everything that is good in the Arabian, was a stunning dressage mover and an outstanding teacher. The purpose of this award is to showcase an Arabian that excels in dressage. The Copper Challenge Award - Copper Challenge was the favorite horse owned by Col. Alfred R. Kitts, an Olympic alternate, respected "S" judge, instructor and horseman. A lifelong thoroughbred fan, Col. Kitts was well known to say that "A thoroughbred can do anything another breed can do, only better." Unfortunately there were no submissions for this award. All three awards will be offered for FADS shows again in the FADS 2014 Spring/Summer show season. 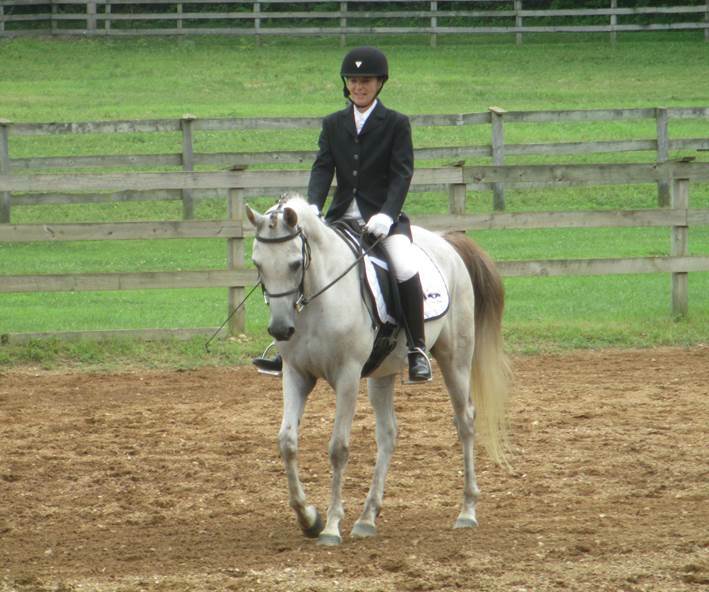 Stephanie J. Corum, of Frederick, Maryland, is a freelance writer and horse lover. She writes magazine articles, online content, and blogs about her horse experiences at www.theridingwriter.wordpress.com. She also is the author of two illustrated children’s books, “Goats with Coats” and “Antics in the Attic”. Learn more about her at www.theridingwriter.com.